A wonderful addition to accent your hair every day. Perfect for ballet dancers, debutante balls, Military ball or wedding parties. 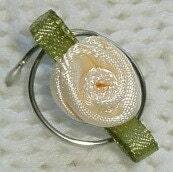 Hair Swirls are so easy to use and so Elegant to wear. Just twist them into your hair and right back out again. 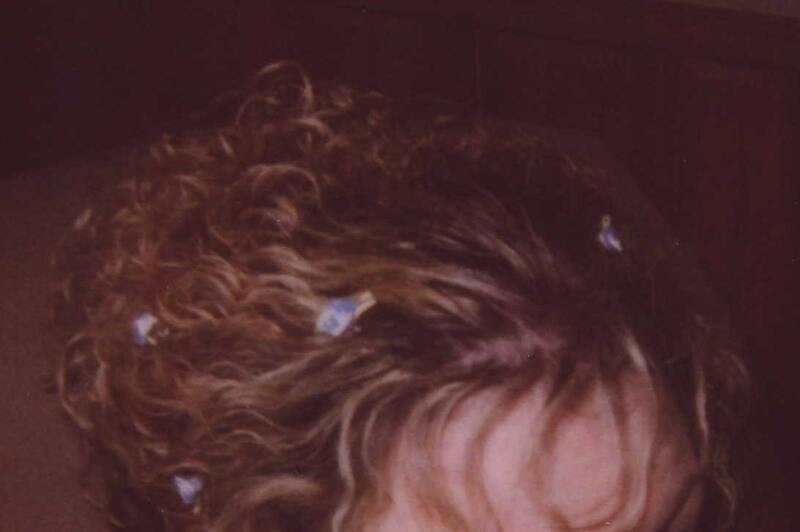 Hair spirals will look like they are floating in your hair. 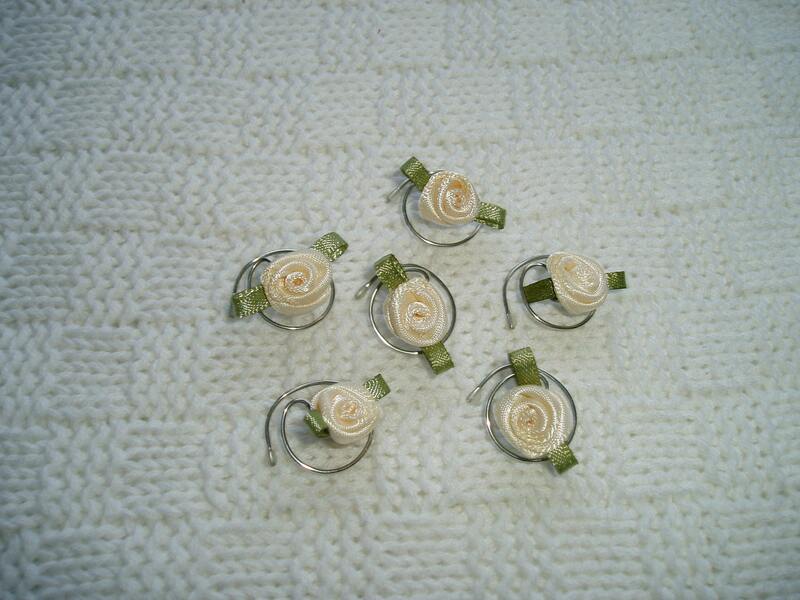 Hair coils are perfect for Prom Updos, Bridal Parties, Ballerina Dancers, Twirlers, and Skaters! This is a wonderful hair accessory for any occasion. 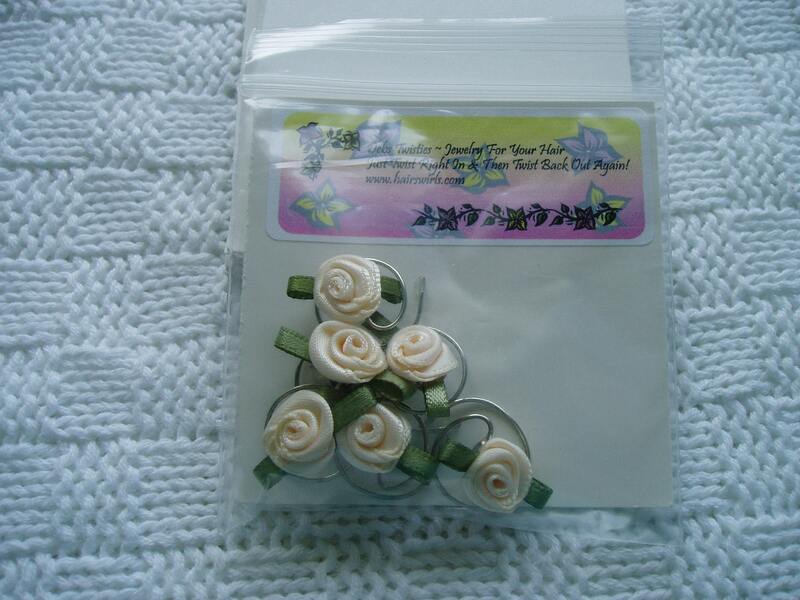 You are buying a beautiful set of 6 Cream Rose Hair Swirls. Each rose is about 1/2 inch in size. They are tiny and adorable. They would be perfect for the prom or a bridal party. These are wonderful little hair twists, a remake of something I wore back in the sixties. 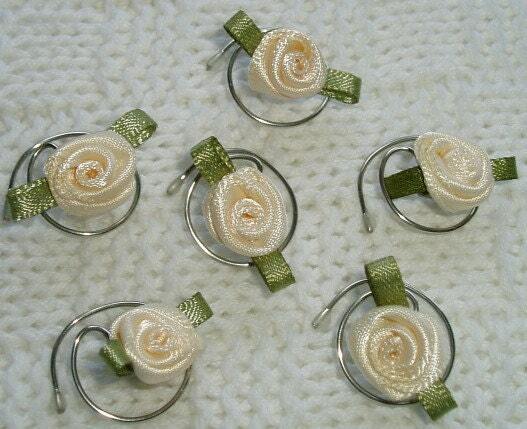 They can be worn in short or long hair, but are perfect for upswept prom and bridal hairdos. The model is wearing blue roses but you can get the idea of how they will look. If you need more than one set of cream roses please let me know and I will list them.